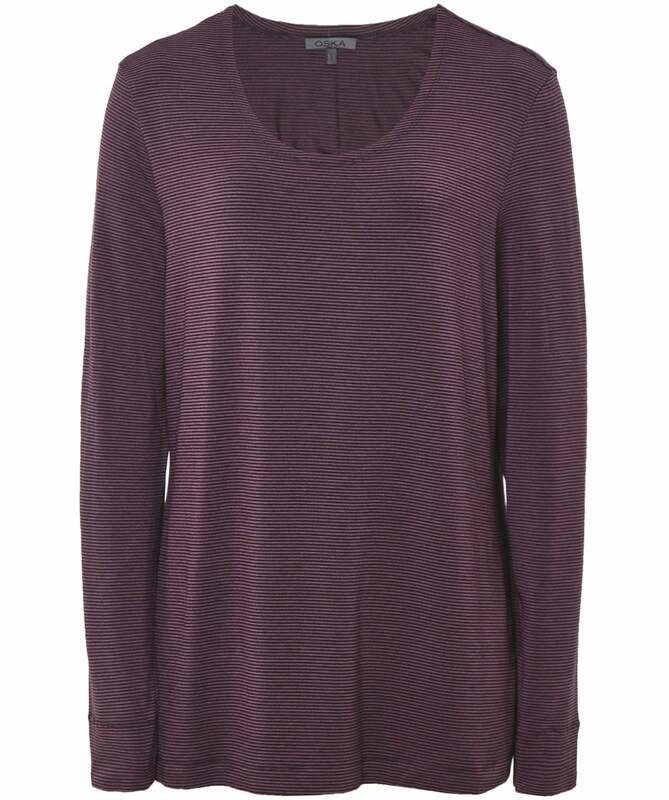 Invest in luxury basics with the Oska Tuema top. Expertly crafted from a super soft stretch jersey fabric for ultimate comfort, the top features a relaxed round neckline, long sleeves, stitch detailing to the neck, cuffs and hem and a fine stripe design throughout. Layer your Oska top with short jumpers, long jackets and waistcoats for a laid back look this season.